Beracah Yankama – Does God Exist? For no particular reason, I figured that I would go ahead and ostentatiously make a post about God. Originally, this was supposed to be a Christmas post, but I turned out to be slower than originally anticipated. As usual. Rather than getting into a highly invested and emotionally biased discussion about whether or not God exists for this reason (or the lack thereof) or that, I thought I would go ahead and analyze it logically. In many of the discussions about God’s existence, the label of “God” itself becomes so loaded with additional “human” questions (such as: “Is God worth worshipping?”, “Does he care about me”, “Does he have ultimate power?”, “Am I part of some master plan?”, “Does he exist at all?”, “Does any God-like entity exist?”, “What religions should I follow|Are religions evil?”) that it really becomes an argument of definitions. of a religion — he/she/it has existed long before humans existed and religions created to worship said entity, thus to this discussion, individual religions are irrelevant. Does a God-like entity exist anywhere? [IF 1], Does “His Hand” extend into our universe? [IF 2], Does “He” care about any human individually, or are we [I] some side byproduct of some other plan or process? People get so invested in these questions being “unknowable”, that they overlook how easily answerable they are. Question 1. THE QUESTION, that we are concerned about here only exists and persists because of incompletely followed logic and an absurd human-ego-centric love of the idea of “free will“. From the objective frame of reference, who cares if we have free will? Free will or not, humans have to obey the same laws that particles obey — inanimate or not, the universe doesn’t care — it will destroy us just as readily as it destroys a star. If not, then the assertion that “free will” somehow supersedes Universal energy choices is an innate assertion about a god’s existence. A. our Universe was created via some innate random process (time itself must also sample randomly) . 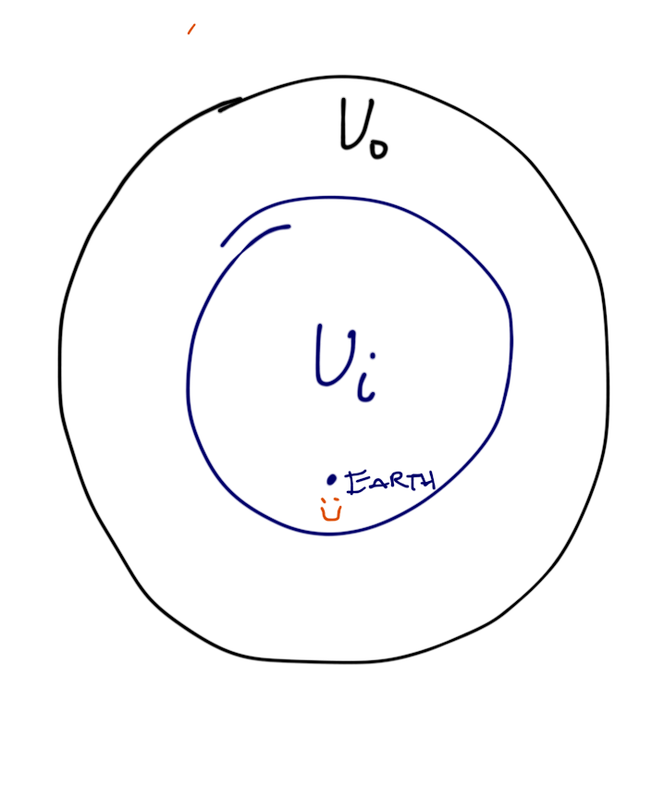 B. our Universe was created via some non-random, fully deterministic process. Set A contains all non-deterministic processes, A and B are NON-COMPOSABLE, and $A+B$ are axiomatically COMPLETE. If they are not complete, then we allow some magical process outside of determinism and non-determinism, which amounts to the same question that we are trying to answer anyway. If A, then Ui (our inner universe) was created within Uo by axioms (mathematical usage) of randomness. Without a “will” of its own, Ui inherits Uo axioms, also of randomness. With randomness, and the necessity of sampling time randomly, continuous time is achieved, and the strong law of large numbers applies in infinitely small time; our universe would be destroyed internally by the same type of process that created it just as quickly as it appeared. 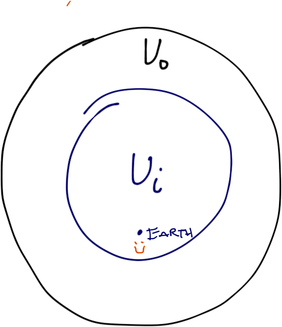 Since we’ve inherited continuous time, and we continue to exist moment 1 to moment 2, Ui is not obeying the axioms of A, of outer Uo. See, in B, if God (the creator of our universe Ui) is created by the deterministic axioms of a larger universe Uo, then God is hardly any god at all (though he still would be relative to Ui), but just another deterministic process obeying the laws of Causality. But that question goes backwards ad-infinitum — who created god who created the nth outer universe Uo? In A, since our existence (in Ui) is deterministic in nature, that means that in a random outer Uo universe, Ui must be “protected”, in some sense. If God (with the ability to protect Ui from Uo) was created by randomness, then God can also be destroyed by randomness (and would be). The same randomness that can destroy Ui. What we are getting at here is no matter the process chosen (A or B), that at some point of abstraction, an entity must exist with the ability and power to violate, and who is not subject to, his own axioms on ≥ a Universal (Ui) scale. If “the ability to break your own axioms” on the most native level doesn’t make something a God, I don’t know what does. In conclusion, of course a God-like entity exists — not JUST because the universe exists, but because the universe exists AND it’s own rule inheritance is being violated (i.e. it should not exist). In the interests of Space-Time, I’m leaving the separable questions 2 & 3 (“Does the Creator’s Hand extends into our universe?”, and “Are we the subject of his meddling, or are we some byproduct?”) until next time.